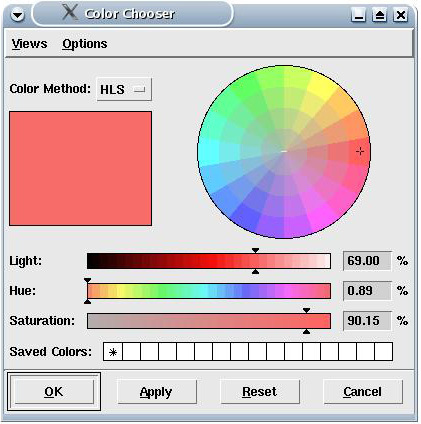 The Standard Color Chooser provides a dialog-based user interface to allow the user to choose a color. Controls are provided to interactively select by Red-Green-Blue (RGB) values, Hue-Luminosity-Saturation (HLS) values, or Grayscale. A full interactive color wheel is provided. 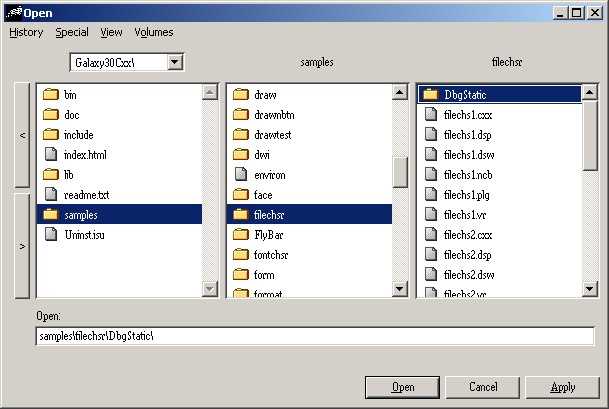 The Standard File Chooser is a dialog-based user interface object that allows the user to select an existing file or create a new file. The File Chooser can be navigated with a keyboard or a pointing device. 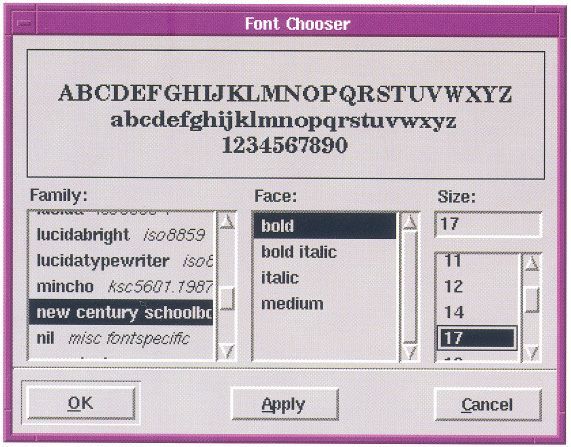 The Standard Font Chooser is a dialog-based user interface object that allows the user to select a font family, font typeface, and font size. The Service Chooser is a dialog-based user interface that allows the user to select a DAS service provider from those currently available on the network. The Style Chooser provides a common interface to the user for specifying styles for text in text items.